Signature-gathering can begin after a local judge rules the Portland Clean Energy Fund initiative, opposed by business, is constitutional. A campaign to tax large corporations in Portland to fund clean-energy projects got a crucial go-ahead this week from a local judge, clearing activists to commence signature-gathering for the so-called Portland Clean Energy Fund initiative. Multnomah Circuit Judge Benjamin Souede ruled April 30 that the measure is constitutional, rejecting efforts by business interests to prevent the campaign from going forward. On Wednesday, the judge approved a revised ballot title — the wording that will appear before voters and is needed before petitions can be circulated. "We are good to go, and the measure is constitutional, and we are ready to hit the streets on signature collection," said Damon Motz-Storey, spokesman for the campaign. The ballot initiative would levy a 1 percent surcharge based on the sales of retailers and service companies with more than $1 billion in total sales and $500,000 in Portland sales, with money going to pay for solar panels, home weatherization, job training and other projects to reduce carbon emissions. Sales of food, medicines and health care would be exempted. Backers estimate the measure will raise about $30 million a year. One campaign activist estimated the measure would affect approximately 122 companies. The steering committee for the campaign includes leaders of 10 prominent environmental advocacy groups and nonprofits representing communities of color. Those are 350.PDX, the NAACP, APANO, Oregon Sierra Club, Coalition of Communities of Color, Oregon Physicians for Social Responsibility, NAYA, Portland Audubon, Columbia Riverkeeper and Verde. The coalition needs to gather nearly 35,000 valid initiative petition signatures by July 6 to qualify for the city's November ballot. Activists could begin gathering signatures this weekend or early next week, Motz-Storey said. The sponsoring groups have volunteers waiting to proceed with petition clipboards, and a professional signature-gathering firm also will be hired, he said. Veteran political consultant Paige Richardson will be managing the campaign, on a volunteer basis, he said. 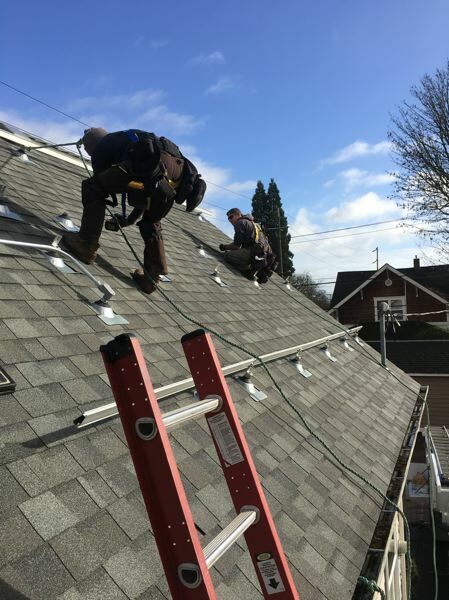 At a time when the Donald Trump administration is reversing federal efforts to reduce carbon emissions, this initiative will continue Portland's leadership in municipal efforts to address climate change, Motz-Storey said. But the powerful Portland Business Alliance, among other private sector groups, is sharply opposed to the measure and could mount a formidable opposition campaign.